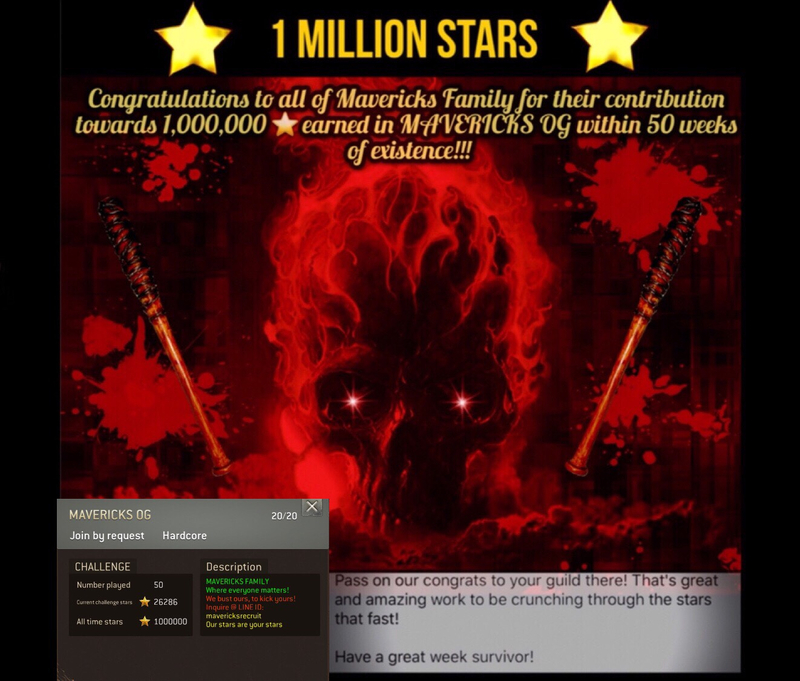 Mavericks OG hits 1 million stars on their 50th challenge!! Congrats to the Mavericks family. First guild to hit 1 million stars within 50 challenges. Proud of everyone inside Mavericks! You did a hell of a job! Couldn't be any prouder! Yes the guild is a newer guild, but we've shown we can compete with some of the best. My hats off to you all Keep up the good work! We are very proud and excited to hit this milestone!! Everyone who’s ever contributed to Mav’s OG Million stars, Thank You! Let the champagne flow, y’all deserve it! Very happy for you! Record time!! I just earned my 1000th comment badge for this comment, how crazy is that?! Jeremy Makowski while doing the list I left out one of our core elders. @DrRevaDac so many names I do apologize bud he was always the first to go to any Mavericks guild when we short, always did his best congratulations and again it was a bad mistake on my part, such a obvious one I was worried about not leaving a player out that participated in the beginning. Your an amazing player bud! Kudos to the one mil!